Furniture free living and the case for active sitting? I’ve been thinking lots about furniture since I moved to a standing desk. I’m interested in how furniture shapes and contains the way we live our lives. It’s the sort of thing that seems neutral but isn’t. Assumptions about the ideal body, about ability, and about relationships shape our furniture choices. But I confess it’s not just the standing desk that got me thinking in this direction. When these stone pillows came through my newsfeed from the aptly named page “this is why I’m broke,” I confess to making that “squee” noise. Want! I’m attracted to multi-purpose rooms, buying less stuff that’s inevitably landfill bound, flexible housing arrangements, active sitting, and seeing how families around the world live and what their dwellings look like. Our furniture is so specialized. 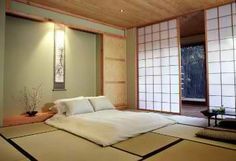 There are desks for working, kitchen tables for casual meals, dining room tables (that get their own rarely used room) for formal meals, and large beds that say “this is the room in which you sleep” in a way that a rollable mat or futon does not). We’re not very flexible about it all. Heaven forbid you try to work at the dining room table or sit with your laptop in bed. Each activity has its own place, its own thing, and so we buy more stuff and cram it into ever larger homes. If we’re friends on Facebook you know I have a bit of a soft spot for tiny houses. Mostly that’s because I live in a crowded, messy house full of teenagers and their stuff. Minimalism is a bit of fantasy. I also have a love of co-housing, intentional communities, shared cars, a communal library and living room, shared sporting stuff, and a roster for cooking meals. It’s clear that most people don’t see things my way. Single family homes are just getting bigger and bigger and they’re filled with more and more individually owned, non-shared stuff. In the United States, there are 300,000 items in the average American home (LA Times), the average size of the American home has nearly tripled in size over the past 50 years (NPR) and still, 1 out of every 10 Americans rent offsite storage—the fastest growing segment of the commercial real estate industry over the past four decades. (New York Times Magazine). For more on this theme, see here. But I’m way off track now. Back to chairs. Or at least back to furniture. Returning to the fitness angle. I started thinking about furniture first when we were a young family, with small kids. And we were being marketed cribs, and toddler beds, and child size beds (all for people who we knew would be 6 ft or more in 16 years). I confess that as a parent of young children I had tastes and parenting preferences that ran against the grain. We didn’t buy swings, high chairs, and cribs. I had visions of them all ending in landfill and mostly our children were happiest co-sitting, co-sleeping etc with us. We had slings rather than automatic swings and our active squirmy children wouldn’t stay in high chairs or cribs anyway. They usually, when young, slept with us. When slightly older, slept on futons or mattresses on our floor, graduating to their own rooms at a slightly more advanced age than the typical North American child. I might have been a bit preachy about it all and for that, I’m sorry. There are lots of different ways to be a good parent. Breast feeding and co-sleeping suited us. Luckily I didn’t blog then so there’s no self-righteous me coming back to haunt this blog. Phew. And while we were definitely minimalist when it came to kid furniture, we still bought bookshelves, tables, sofas and chairs. We never took the big step of going furniture free. It never even occurred to me back then in the days before electronic book and music storage. It was the era of giant, wide TV screens that definitely required furniture. Here’s this piece on parenting without furniture, which I loved, even if they went to extremes with it. Why did this family choose to go furniture free? My point is that I’ve thinking about the politics of the family (see written work on this here) and about furniture for awhile. Lately it’s been my sore back that’s got me thinking about furniture design. And that’s been nudged along by all the health worries about sitting. We all know the mantra, “Move more. Sit less.” See Chairs are evil (once again). Yes, well, easier said than done. Even for me whose back hurts if I sit for very long at all. We sit at desks all day, drive home in cars, and then sit at the dinner table and then sit on sofas at night. Hard not to sit though I’ve been bucking the trend and eating standing up if it’s just me alone. See It’s okay to eat while standing. But that’s not comfy for Netflix watching. Or reading. And surely all chairs aren’t evil. They’ve been around for awhile right? People all over the world use them don’t they? But you might wonder, what’s new about this? Weren’t there always chairs? How are we just learning now that they’re bad? First, chairs aren’t universal. In lots of places people engage in what erognomics types call “active sitting.” Squatting, sitting cross legged, leaning….all of these postures are a bit like sitting but they aren’t bad for you the way chair sitting is. Indeed, if McSwiggen is right we should swap slogans. It’s not sitting that’s the new smoking. Rather, it’s chairs that are the new evil. New? Yes. Second, according to McSwiggen’s fascinating history of the chair,Against Chairs, they’re also a relatively new thing. he dates the mass adoption of chairs to the Industrial Revolution. “Suddenly chairs were being made cheaply in factories and more people could afford to sit like the rich. At the same time, labor was being sedentarized: as workers moved en masse from agriculture to factories and offices, laborers spent more and more time sitting in those newly mass-producible chairs. As usual, class aspirations determined what people bought: body-conscious innovations like patent chairs, which were adjustable, and rocking chairs, which encouraged movement, sadly received only marginal acceptance from the wealthy and saw limited use. Third, you might be tempted to think the answer lies in a better chair. But it’s not clear what a good chair would even be. You’ve all seen the many variations: the kneeling chair, the stability ball as chair, the wobbly stool as chair..to list just some examples. “No one even knows what a “good” chair would have to do, hypothetically, let alone how to make one. Some ergonomists have argued that the spine should be allowed to round forward and down in a C-shaped position to prevent muscular strain, but this pressurizes the internal organs and can cause spinal discs to rupture over time. Others advocate for lumbar support, but the forced convexity that this creates is not much better in the short run and can be worse in the long: it weakens the musculature of the lumbar region, increasing the likelihood of the very injuries it’s meant to prevent. There are similar debates over seat height, angle and depth; head, foot and arm support; and padding. Children know how to sit comfortably without chairs. They squat and do it very well. Or you sit cross legged or kneel. My point is that we have choices. It’s not just sitting too much. It’s how we sit. Active sitting, with lots of movement, is better for us. I’m not quite buying the whole “chair conspiracy” but I do think, for a whole host of reasons, we’d be better off with less furniture. Could you sleep in a bed like this? Would you like modular floor pillows as a sofa? How about having dinner like this? How about you? Could you live without furniture? Give up all the chairs and sofas? Previous Post Ride the bike rally with the feminist fitness bloggers? I have lived at various points without furniture. I don’t mind sleeping on the floor at all, and I love the idea of modular cushions. The one problem I encounter, as someone who works primarily on my laptop and has chronic neck pain, is that without a desk I have trouble finding a comfortable way to use my laptop long enough to get my work done. Currently I have a multipurpose work/dining/whatever table to avoid that issue as much as possible, but my furniture is still pretty minimalist. I try to stick to pieces that will deconstruct into flat packs so that when I move it can come with me instead of winding up at a charity shop, or worse, in the landfill. I need proper seating and table to work on a computer. Even an iPad. Otherwise I get neck pain. As for living rm. sitting, I need to sit straight back with feet on floor, not lounge back..alot of the couches don’t allow me to sit straight. No, I do need a bed ..at least firm enough cushion. OUr mattress is on the floor,not on a bedspring. So in this area, not exactly a sleeping bag, but 2 levels up. 🙂 I hate medium-soft mattresses, they kill my back ..and his also. 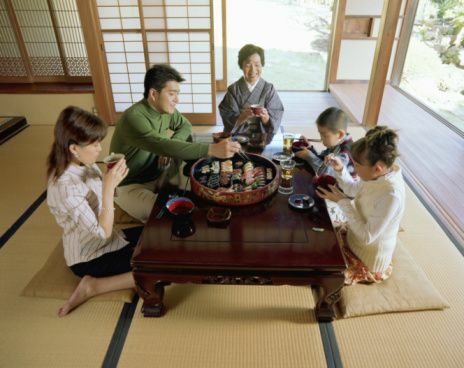 To be like the traditional Japanese (for they are also more like us now), one would have to grow up as a child to sit with legs folded underneath at a low eating table on the floor. I like furniture. It’s functional and it has a design element to it that allows for an expression of personal taste and style. I gravitate towards minimalism, but wouldn’t want to get rid of furniture altogether. I also think it’s good to have options. Granted, I sit too long in a day. But I also cannot stand all day because it strains my lower back and my feet can’t handle it (if I was moving all the time, that would be different, so I would need a treadmill desk. A standing desk wouldn’t work well for me). I’m interested though in how people sit around the world and how Westerners lose the ability to sit on the floor quite young. It’s both a strength and a flexibility thing. Love floor cushions b/c they allow different arrangements and stretching while sitting. The best of both worlds. Jury is still out on the health risks, I think, but for me, personally, it’s all about back pain. None while standing, while walking, moving. Some inevitably when sitting. I grew up with floor cushions. We had a set of big square floor cushions with some different sizes. They weren’t as squishy as the rock pillows, more substantial foam with hardy fabric outers (I can still picture them — some were grey, some were bright red). We used them all the time — for sitting, sleeping, building forts, resting our feet on, piling up into towers and seeing who could stay up the longest on the highest tower (a bit of a dangerous thrill when we were kids). In fact, I think my brother still has them but maybe not. I love this! When i had a 9-5 office job i was always ‘actively sitting’. I had to change positions very frequently, although i usually ended up with one leg tucked under the other up on the chair. This also meant a transition to more casual clothing in the office and shoes that easily slip on and off. Stools are actually my favourite piece of furniture, and the simple wooden ones we have also double as small tables or plant stands, or even a step to reach something high. I would love to transition to less furniture. My husband who is generally a minimalist is having trouble with this idea however. For me it would also be great to have less stuff to maintain and keep clean! I think floor sitting makes a lot of sense. I can’t get rid of our furniture at this stage as I have older parents, friends and a husband who are not interested in or able to sit on the floor. My full time job involves sitting at a desk for most of the day, so I cleared space at home to practice sitting on the floor in my spare time. Four months in and I’m loving it … still hoping it will get even easier the longer I practice. I am also intrigued by minimalism and less ‘stuff’ which is funny considering we have a relatively huge house and it’s full. I have spent a couple years decluttering and simplifying my things. It’s challenging when my husband is not on board. I hope that will change over time. Thanks for directing me to this post. I enjoyed reading it. Throwing it back to the time when I contemplated active sitting….